This book about the reparations issue ("Wiedergutmachung" in German; "shilumim" in Hebrew) brings together selected protocols of all debates held in the Knesset, in its Foreign Affairs and Security Committee, in the Government and in the high councils of the ruling party Mapai, regarding conducting negotiations with the West German Government. This is the first book documenting confidential protocols lately opened to the public. 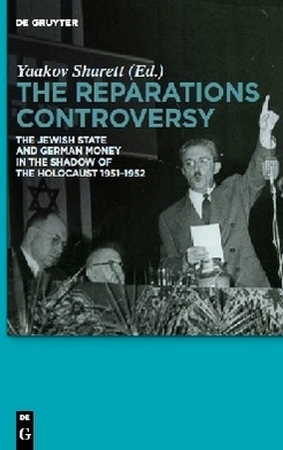 With the elaborate introduction by Yehiam Weitz, this book will serve as a basic textbook for an important chapter not only in Israeli and German history, but also in post-war history in general. This book is available for purchase at Amazon. Prices are $100-$150.